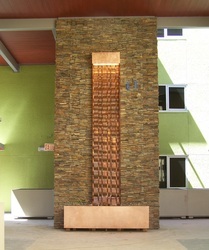 This Ripple water feature offers stimulating depth and texture. 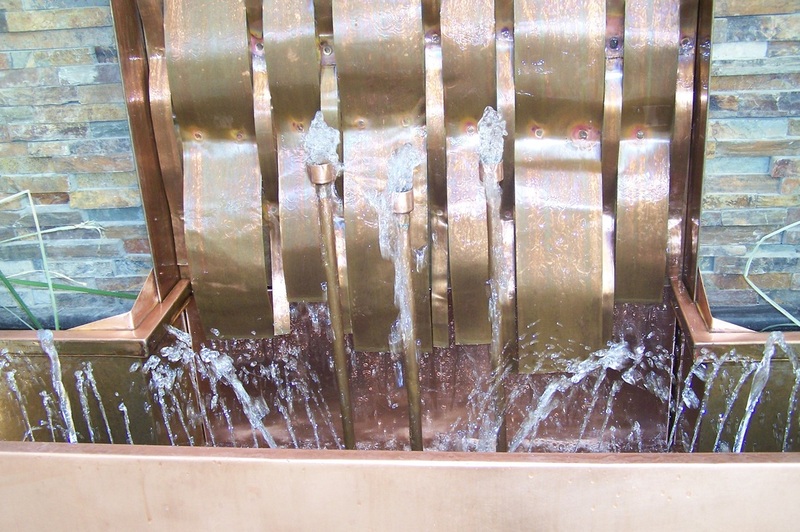 A sight to behold, copper bends in a manner similar to actual ripples. Your eyes will be taken upon a journey as you work your way from the shining light at the top of the piece on down to the jumping water at the base. As the water jumps with life and excitement, it will create a gentle flowing acoustic. With such intriguing characteristics, this water feature can give life to any space.